Now You Can Buy Both Books? 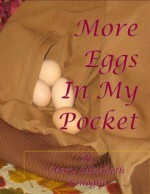 We now have a sequel to the first book entitled More Eggs In My Pocket . You can buy both books below. We have had an unexpected demand for pairs of my books to be given to special friends or family so our Two Book Special is for the purchase of the original Eggs In My Pocket paired with More Eggs In My Pocket. The prices have been reduced 25% to $14.95 each for this special purchase. If you would like a special autograph on your books please go to the "Contacts" page and send us a message indicating the text you wish in the autograph. I prefer that you purchase your books through my publisher, Synergy Solutions, Inc., for a number of reasons. First, I make a little more on the sales as I do not have to pay the sales commissions associated with selling through a third party. Secondly, I become aware of you as a reader and thirdly, I can autograph your book for you, making your book significantly more personal. Plus, I can deliver the book to you more quickly than most of the other methods of acquisition. If you would like to order a first edition book, we are accepting personal checks, credit cards or Pay Pal. Upon receipt of your payment your book will be shipped. I will be pleased to autograph the book per your request. If you would like to have a special message included with my signature, please go to the "Contacts" page, complete the form and indicate in the comments section the special message you would like to have in addition to my signature. Make sure your shipping address is included in the contact form. The price of the book is $19.95, plus tax of $1.65 and shipping of $2.58 for a total of $24.18. Please make your checks payable to Synergy Solutions, Inc. and mail to 1250 CR 249, Florence, Texas 76527. If you prefer, you may use your credit card or Pay Pal. If you choose this method of payment, an automatic shipping request will be sent to the publisher. If you desire an autograph please complete the "Contacts" form and note the desired message content. We will connect the request with the payment process. To use your Credit Card (Visa, Mastercard, American Express or Discovery)or Pay Pal click on the book or books you desire to purchase. Both books are available on the shelves at the following very special bookstores: Hill Country Book Store, Georgetown, Texas, Book People, Austin, Texas and The Book Carriage, Roanoak, Texas. It can be ordered from any major bookstore such as Barnes & Nobles, Borders and other large and small bookstores. They can order it from their distributer or from Ingram Books http://www.ingrambook.com . As with most other books, many buyers purchase from online distributors. Both books are available online from Amazon http://www.amazon.com/ , Barnes & Nobles http://www.bn.com and most other online resources. 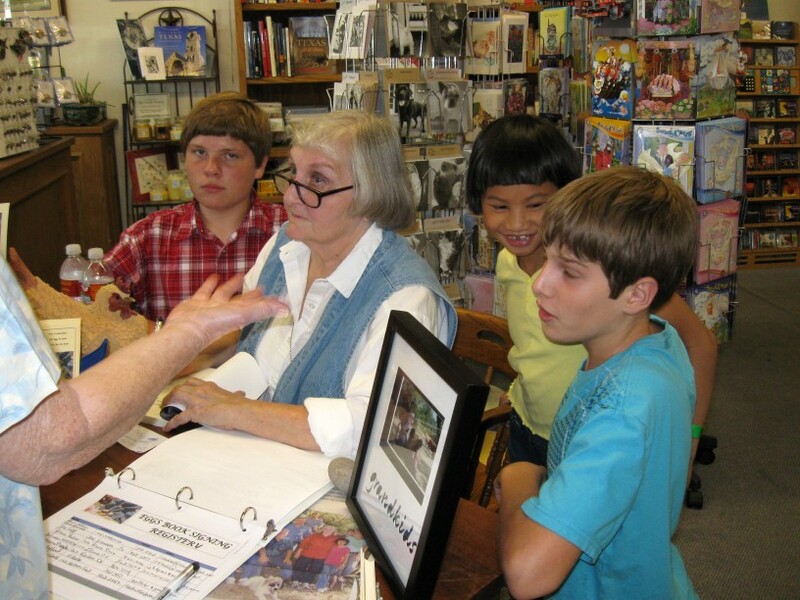 The first book signing was held at Hill Country Book Store on the Square in Georgetown August 9th, 2008. It was a very special occasion. A line of about 20 people began forming a short time before 1:00 p. m., the announced start time, and did not reduce until about 4:30, which was past the ending time. Just under 100 people signed our registry and the owner of the book store indicated it was the most successful signing she had participated in. We appreciate all who took their time and stood in the long lines on a very hot day. A second signing was held at Castlerock Pet Hospital, September 6th. A number of people who chose not to endure the long line at the first signing found this to be a more relaxed time. Also several readers who share my love for animals found this a good forum. I very much appreciate Dr. Stummer and my friends at Castlerock for giving me that opportunity and helping me with it. Special Events are being developed with numerous retailers and special event co-ordinators. We will attempt to provide schedules on this site so that you might plan to attend those of interest to you. 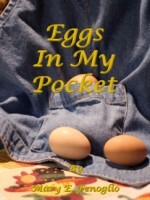 You are invited to consider an autographed copy of Eggs In My Pocket or More Eggs In My Pocket as very special gifts. They have local flavor and Texas appeal, plus being an easy read for busy people, in that each essay stands alone. If you have bought a copy of my book at an outlet where personal contact was not possible, just come by any scheduled event and say hello and bring your book - I'll be pleased to sign it for you. We always love to meet readers. Like Sara said, "talking is my best thing". The first annual Hill Country Book Festival, October 11th at the Georgetown Public Library provided the next occasion to meet and greet readers of the column. There was a little more time for visiting and exchanging information and stories, always enjoyable. 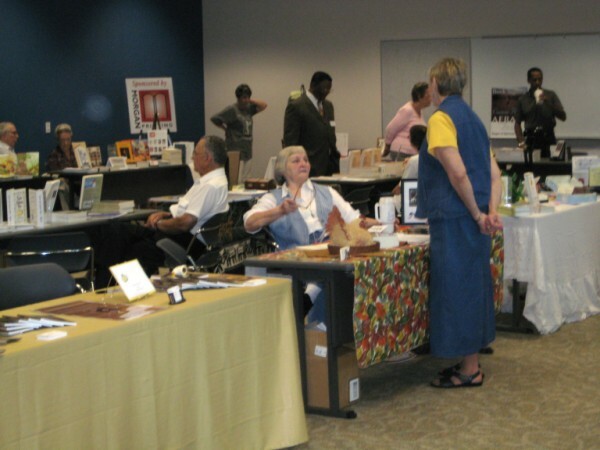 We were pleased to participate in this effort to expose the public to the literary efforts of a number of area writers; it was a very well done event. We look forward to participating in the future. 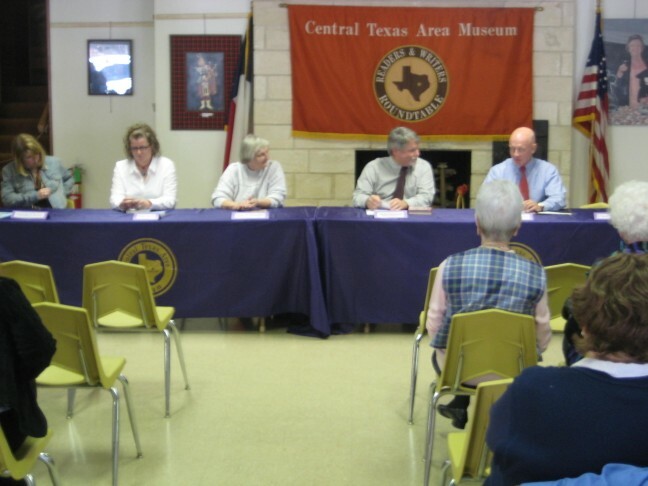 In the early spring, Mary was one of the featured authors at the annual Readers & Writers Roundtable at the Central Texas Area Musuem, Salado, Texas. This occasion provides invited authors an opportunity to get acquainted and exchange information with readers and potential readers. The group was small and allowed for intense discussion and interaction among the entire group. The launch of More Eggs In My Pocket occurred on October 17, 2009 with a special book signing event at the Hill Country Book Store, on the square in Georgetown, Texas. It was a resounding success and we thank everyone who came by and enjoyed the gorgeous day.